After being restaked and mined on and off thought-out the 1990's dependent on gold prices. 2012 -2016 has been mined steedy and has been seen on tv around the world with couple chris and nika from yukon gold's tv show season 3 and 4 in 2014 & 2015. This year stowe is still successfully being mined bring in good gold at about 40/60 cost to proffit at todays gold and fuel prices with a small 4 man crew and heavy equipment. Stowe is now offered for sale due to owners needing life style change. However the owners will be close by to assist with mining if needed. Only 5 kms down the road. 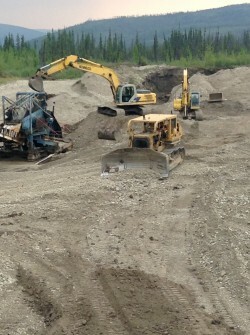 100KMS south west of Dawson City on Good Gravel roads from April to October. Can bring in travel trailers and semi trucks right to the site. Easy work to build an air strip out of tailings. 61 claims and camp inculed in this sale. Equipment can be purchase separately. 3-Atco shacks plus large wood addition room for 10+ people. Complete with dishes and all camp supplies at time of sale. and sand beds range from 10 to 30 cm thick and clasts are subangular to subrounded. Unit 3, 2.2 to 3.0 m (7.2 to 9.8 ft),is a pebble gravel similar to unit 2, except lacking the presence of sand. Overlying the section is up to 3 m (10 ft) of black muck. 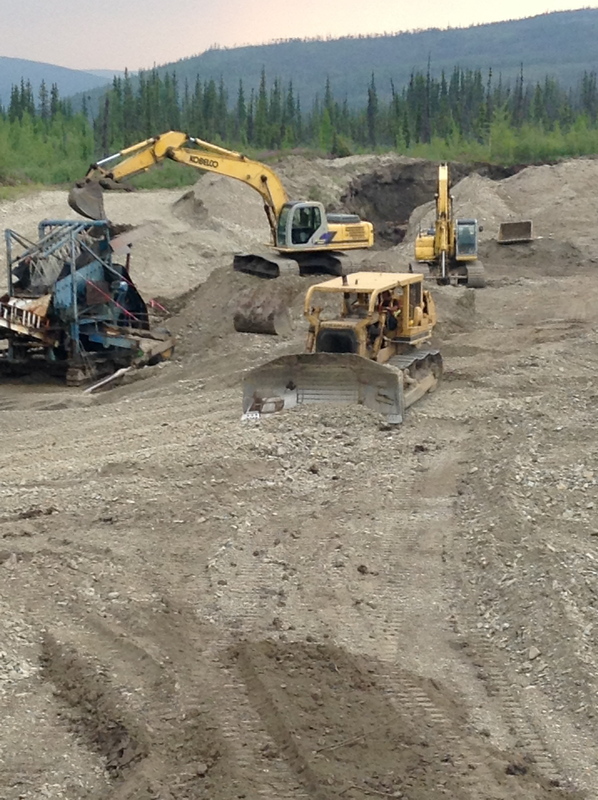 Material sluiced from the Montana Creek bench cuts consists of 0.9 m (3 ft) of the lower gravel and up to 1.5 m (5 ft) of bedrock. Muck is 6.1 to 9.1 m (20 to 30 ft) thick on Stowe Creek, with 1.2 to 1.8 m (4 to 6 ft) of gravel and 0.6 to 1.2 m (2 to 4 ft) of bedrock sluiced. Bedrock Geology Bedrock is quartzite and quartz- muscovite schist, and varies in degree of decomposition. Stowe creek has been famous since 1901 when a.f. stowe first staked the ground. 1902 after another miner mr.steers tryed to stake more then one claim,then a court argument in dawson city(1902) arissed from mr.danial steers and mr.carl lind. Then in the 1980 two young men one a helicopter pilot and the other a prospector made there way into stowe creek after seeing some old timers cabins and workings from the air. Once they staked stowe and many other creeks around, they got to work heavly drilling stowe creek. The down turn in gold prices in the early 1980's brought things to a stop on stowe and the ground was left to lapse. 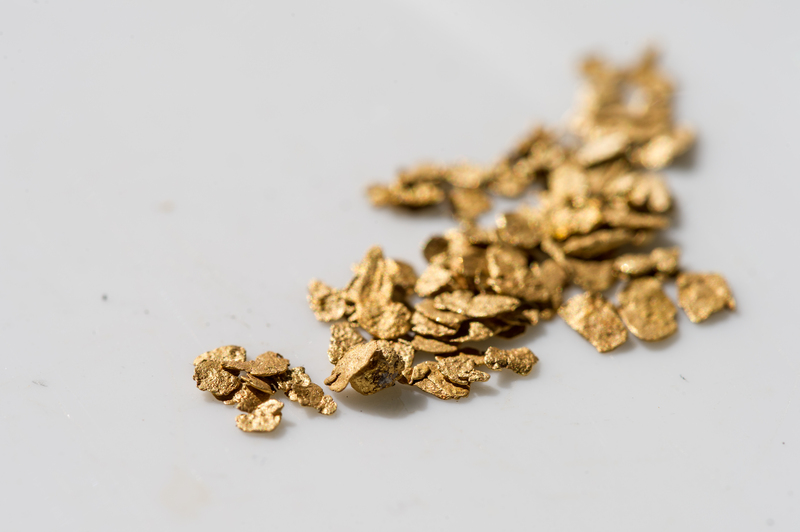 Gold CharacterIstIcs: Gold is fine grained, (12 mesh or finer), flat, flaky, bright, and includes up to 20% silver. The fineness ranges from 770 to 780. Owners are semi retiring but willing to do a 1-2 year contract to help new owners/investors be successful. Please email to arrange tours of the mine. Best times are when we are producing daily from June to Sept.
email for more info and data sheets on gold sales. The Stowe Creek Mine is not available at this time.